We landed at Burro Creek BLM Campground on Hwy 93, northwest of Wickenburg 'bout 70 miles or so, early Wednesday afternoon. The plan was to spend a night or so there, while we scouted for a full boondock camp to set up for a Long camp. Now... if you're a traveler not needful of being connected up to the internet... You could do real fine there. The Campground sits in a nice canyon, with Burro Creek runnin' through it. There's plenty of spots with plenty of room to put a 40' motorhome in... some back in... some pull through. But... my problem... A big part of what allows me to roll are my websites... so keeping my "Nose to the Grindstone" is an important thing! ... and I need the "Net" to do that... Good thing that "Grindstone" is a stone that brings me such great pleasure! ... That and we need to be able to "keep in touch" with the store in Fort Collins... which means... like it or not... we can't go more'n a couple days without communication. The thing at Burro Creek is there is zero signal... nadda... zip... nuttin' honey! So we only set there two nights. I made a short run around the area scouting... and there seems to be plenty of spots a person could boondock in the area... roads both to the north and the south... and the area is pretty much all BLM. The camp itself has water and a dump station... so... if you're traveling up or down Hwy 93 between Wikieup and Wickenburg... there's at least a real good night camp there for you! So... we sat looking at the map... not wanting to go too far... too fast... or get pushed into it... and I made a momentous decision... Back to the Future! We made a slight hook back to the east and landed back below Ash Fork on the Kaibab... just about five miles north of where we spent a week back at the end of November. 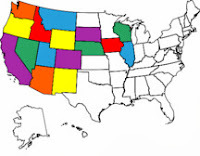 I'll post some info on the camps worthy of talkin' about... a few pics... location, break 'em down by state and maybe region of the state (that we travel through anyhoo), services around etc... might come of use to a few folks here and there. It's gonna be small to begin with... but over time, it might become something good! Moving On... Well... We were... now I'm Boondocked... Again! Best laid plans... The idea of posting info on your various sites is very good. Looking forward to seeing how you set it. Would you include GPS data? I have seen google earth maps that people use to show that kind of info. Thanks for the scoop about Rurro Creek! Thanks for reminding us of that great resource. It really seems like good information. I, for one, though, hope that Brian adds a section to his own website to describe the boondocking locations he's been to--because he's got a creative way of writing about places, notices more details than tends to be included at the other website, and also posts great pictures that help me get a visual sense of what it's like to be there.